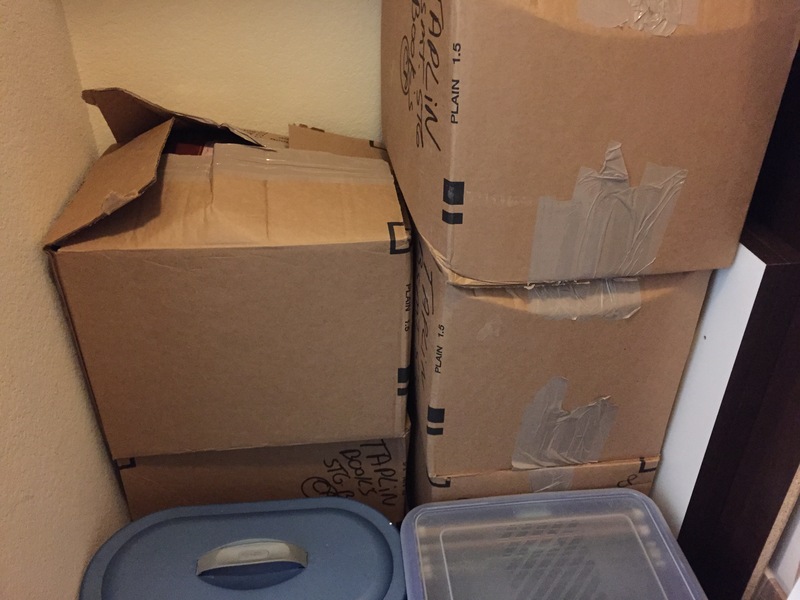 The boxes we still haven’t unpacked. I’ve noticed in my research that I am intrigued by the motives behind my ancestors’ actions. Mostly I am curious about why they chose to move from one place to another, why they went with who they did, why they chose that location, and so on. I don’t think we can ever really know without having a diary or letter describing the whys in their own words, but with careful research and analysis we can make some educated guesses. For me, I often turn to my own life when I ponder on the actions of my ancestors, at least as a starting point. While this can be affected by “presentism” (thinking about past events with a modern mindset), it is all I really have to go on when trying to determine someone’s possible motives. I ask why do I do whatever it is my ancestors did: Why did I move? 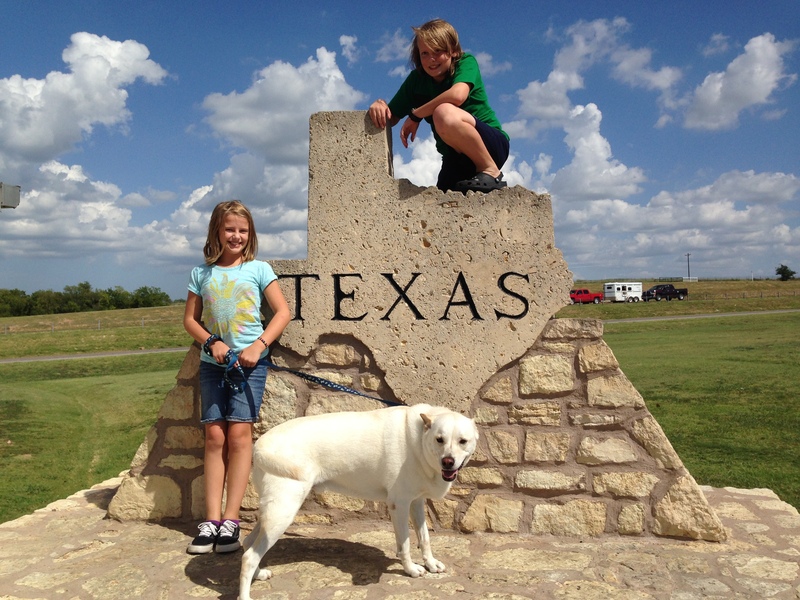 Our family’s first crossing into Texas when we moved September 2014. My family and I just made a very large life-upheaving move last September. We didn’t just move from one town to the next. We moved from Colorado to Texas! The motive? My husband got a new, better job. I think we all also needed a change. From my husband’s old job to my son’s dislike of school, it just seemed like we all needed something new; it didn’t feel like we were growing, just staying the same. So, a new state, a new school, a new house, a new grocery store, new weather and new genealogy societies. I could list all of the differences we’ve had to get used to, from political attitudes to the traffic patterns to the weather, but I won’t. Over the next few posts I will share a few of the things I’m learning about moving as it relates to genealogy, my genealogy business and understanding my ancestors. I enjoyed your blog and contemplating why our ancestors moved. Understanding their motivations requires historical context and that alone isn’t always the answer. Since we have moved 13 times and 4 times internationally in the last 30 years, I realize that if anyone ever wanted to trace me in the future, it would be rather difficult. Exactly… I address this in more detail in the next post, too. That’s a really big move! I’ve never moved to another state, only to different cities within a state. It is fascinating to think about why our ancestors moved, especially when it was to another country. Most established genealogists concur that the prime motivation for migration to and within the US colonies and states was LAND, always land. They couldn’t own it in their homeland, and it was plentiful here. Next move in a couple of generations was because the land was getting crowded. Next most common reason:: moving for freedom from religious prosecution (even though they promptly set up the same kind of prosecution in New England! ); and next, avoiding military conscription. And lying over all these reasons; Opportunity they did not have at home: opportunity to worship, to work, to live better than at home. People also did not travel alone but in groups tied together by community or church. Elizabeth Shown Mills’ “cluster genealogy” theory really works. And land records are golden. And it will be VERY easy to trace us all in the future due to the Internet.